Sometimes, your MatchGirl muses about having loads of money and not worrying, not one little bit, about what she can and can't buy. About what trips she can and can't take. About which pennies to pinch while at the grocer's. 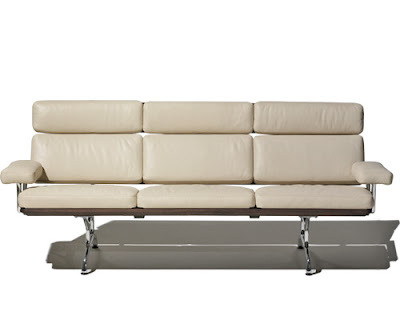 And, to that end, every now and then, I will still share little bits of awesome that I can't ever imagine being able to afford... Like this Eames 3-Seater sofa ... the last piece of their office collection. Dreamy.